The recent flooding in Colorado is one of the worst disasters the state has ever experienced. Eight people were killed, hundreds of people lost their homes, many more homes were damaged, and entire communities are now isolated after connecting roadways and bridges were washed away. Italian cycling clothing manufacturer Castelli teamed up with Slipstream Sports, the parent company behind the Garmin-Sharp professional cycling team, and OpenHeartCO to create a special cycling jersey to benefit the communities affected by the floods. 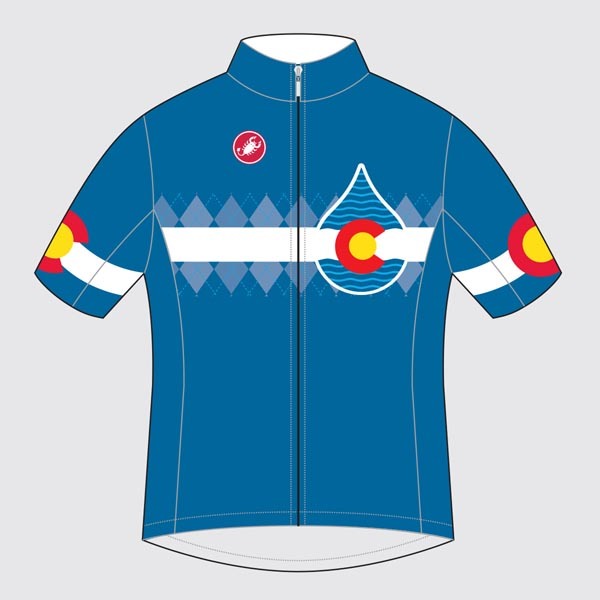 The proceeds from the sale of the Colorado Drop Jersey will be donated to United Way's Foothills Relief Fund, which will be used toward health and human services for those affected by the flooding in Boulder and Broomfield counties. Jamie is the Founder of Xploritall. He's an avid road cyclist, hiker, and cross-country skier. He caught the travel bug while performing as a techno DJ in various countries.